Anatomic and orthopedic Anno clogs have been designed with comfort in mind. These shoes are manufactured in compliance with predefined industry standards using high quality raw material by our experts. Trunk shaped air holes prevent spilled fluids entering inside the clogs. These Autoclavable Shoes are extensively used in pharmaceutical, chemical, biotechnology, food processing, alimentary, cosmetic, electronic, hospitals and microbiological laboratories. 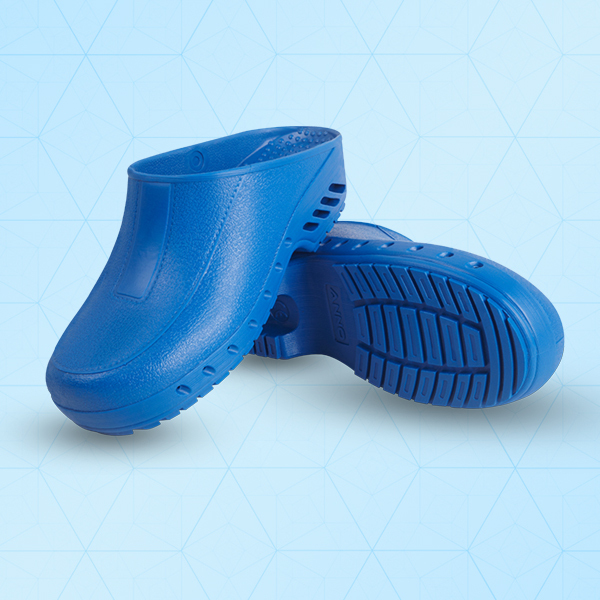 This Clogs/ Shoes have Great Comfort, Anti-static property as well as they are Anti-slip. Autoclave at a maximum temperature of 121-135° C for 30 min. Life cycle Upto 40 Autoclavable/ Sterilize Cycles.